Tata's Nano started as a "people's car" but lately has been finding it difficult to get "people to the car". The sales of the world's cheapest car dropped down to 948 units in April 2013 after dwindling to 1,500+ units consecutively for two months. This depicts a drop of 88 percent over same period last year. The car registered a sales of 8,028 units in April 2012. Unfortunately, for Tata Motors it is not just Nano which has been seeing a fall in sales, it is all the models from Indica range to Indigo range to its popular SUV's including Safari and Aria, there has been a sudden drop in sales since October last year. 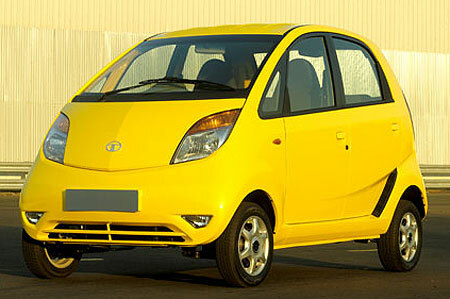 Recently, Tata Motors for the first time let Toyota cross its sales in March 2013 and be Toyota ahead of Tata Motors. Is Tata Motors going the Fiat way ? It's high time for the homegrown carmaker to re-think on it !